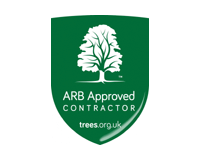 We have been operating as a fully insured tree surgery contractor in the Devon area since 2005. We have experience working in the industry since 1999 providing professional Arboricultural services. We carry out all aspects of tree surgery ranging from dismantling, shaping, thinning and reducing to stump grinding and removal. Working throughout the Westcountry, we offer a consultancy service for professional tree inspections and QTRA Tree Risk Assessments, pests and diseases identification and tree surveys in accordance with BS5837:2012 - Trees in relation to design, demolition and construction Recommendations. It was great to spend some time with The City of London’s tree team last week. Fantastic opportunity to learn how some of the best conservation arborists in the country manage these ancient and fragile Beech trees.